The aviation-safety arm of the United Nations has called for all newly-designed planes to have video cameras in the cockpit. (MONTREAL) — The aviation-safety arm of the United Nations has called for all newly-designed planes to have video cameras in the cockpit, according to a letter obtained by ABC News. The International Civil Aviation Organization (ICAO) sent the letter to national aviation regulators. Supporters of the cockpit cameras say video footage would enable investigators to see what pilots were dealing with – and how they responded – in the case of a crash. However, many pilots oppose the move, citing privacy concerns. 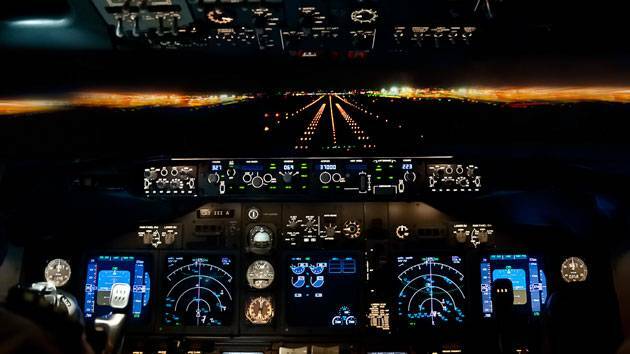 As a compromise, the ICAO’s proposal suggests the installation of cameras pointed directly at the flight instruments, with video records that could be deleted after successful flights. The proposal would apply only to aircraft both certified and built after 2023 – meaning that any currently-flying plane models (like the A320 or 737) will not be mandated to include cameras, even if specific planes are built after that date. The ICAO does not have the authority to require countries or companies to follow their recommendations, but the industry often opts to do so of its own accord. The regulators who received the letter have until April 20 to respond, with debate over the proposal likely to take even longer.